Coming Soon Currently under construction, May Whetter & Grose are pleased to offer this select development of premium 2 and 3 bedroom homes available for sale from & ;150,000 to & ;165,000.The properties offer generous size living accommodation in a convenient position, close to amenities and within easy reach of the A30.Built to a high standard of finish with the lower front of the properties offering delightful Trebarwith stone detailing.The homes incorporate kitchens with built in fridge-freezer, washing machine, dishwasher, oven, hob and extractor, quality flooring, ground floor WC, first floor tiled bathroom with shower over bath and glass shower screen, garden with patio, lawn and shed.Further benefits include solar panels & two off street parking spaces.Swift buyers will be given the opportunity to have an input into a choice of kitchen colours.Contact our St Aus office on for further information. Epc & Tax Bands - TBC Bugle is a popular and expanding village situated some 6 miles North of St Aus and approxima 6 miles South West of Bodmin. The main A30 Trunk Road is easily accessible and the North and South Coast beaches are a short drive away. The village has a school, a range of shops, takeaways and recreational facilities. St Aus town centre offers a wider range of shopping, educational and recreational facilities. There is a mainline railway station and leisure centre together with primary and secondary schools and supermarkets. The picturesque port of Charlestown and the award winning Eden Project are within a short drive. The town of Fowey is approxima 12 miles away and is well known for its restaurants and coastal walks. The Cathedral city of Truro is approxima 18 miles from the property. Directions: - Travelling from St Aus, heading towards Bodmin, the development can be located on the right handside, off the A391. The development is accessed off Red Lane. A for sale board will be erected for identification purposes. Currently under construction, we have pleasure in offering these new build homes for sale. The site will comprise of four 3 bedroom houses and one 2 bedroom house. There will be a high standard of finish with well equipped kitchens with integral fridge freezer, dishwasher, washing machine, hob, oven and extractor fan. downstairs Wc, bathroom with shower over bath and comple tiled walls, quality flooring, gardens with patio, lawn and shed.Further benefits include solar panels and two off street parking spaces.With the option to purchase off plan, interested parties are encouraged to contact the office on for more information. 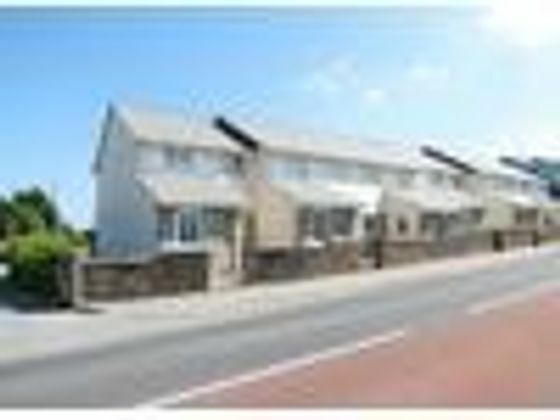 Property advert Ref 4234497 - Is a property advert for marketing purposes only, the information has been supplied by the owner, estate agent or property portal and The House Shop makes no warranty as to the accuracy or completeness of the information. Furthermore we have no control over the adverts content. This property advertisement does not constitute property particulars. Please contact the advertiser to obtain any information regarding The Energy Performance Certificate regarding homes in England and Wales or Home Report for residential property in Scotland.